iOS 9 beta 2 download for compatible iPhone, iPad, iPod touch devices has just been released and is available to registered Apple Developer Program members. The first beta was released immediately after the WWDC 2015 opening keynote two weeks ago. The expected natural progress of iOS 9 continues. 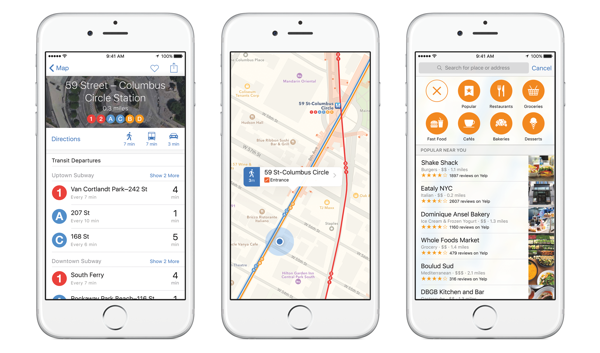 Apple released the initial iOS 9 beta for download through its Apple Developer Program portal about two weeks ago from today, much to the delight of registered developers. 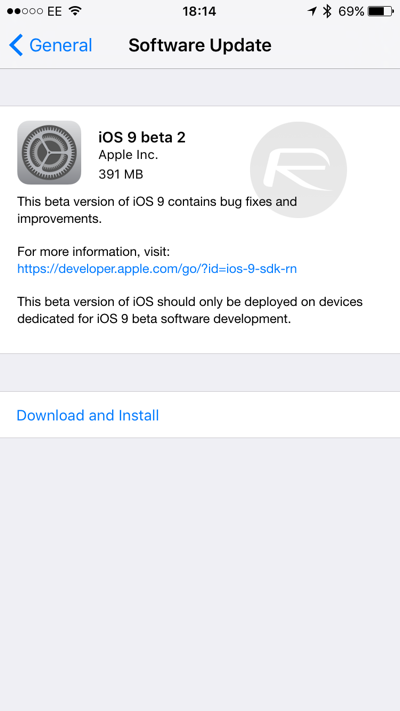 Anyone who has taken the plunge and installed the beta, hopefully on a test device, will know that it can be best described as a “little rough around the edges.” Thankfully, as part if its roadmap to produce a stable and feature complete version of iOS 9 in time for its public release, Apple has made the second beta of iOS 9 available for immediate download. If you currently have iOS 9 beta 1 installed on any of your test devices, be that an iPhone, iPad or iPod touch, then grabbing beta 2 is no big deal. Simply make sure that your device is connected to WiFi, then head on over to Settings > General > Software Update, and here you should see an OTA update waiting for your download approval. If you’re downloading and installing from scratch, then you need to head over to the Apple Developer Program website, register yourself and your device on which you need to install it. Rest is simply a case of downloading the right IPSW file for your iOS device and restoring via iTunes. You can follow our complete tutorial on how to download and install iOS 9 beta here: Download iOS 9 Beta 2 And Install On iPhone 6, 6 Plus, 5s, 5c, 5, 4S, iPad, iPod touch [Tutorial]. As you might expect, the second beta iteration of iOS 9 contains a number of evolutionary bug fixes and performance improvements as Apple’s iOS engineers look to dramatically improve the experience that’s being served up to those interacting with the software. The latest beta also introduces a number functionality upgrades that serve to set the tone for what is to actually come from iOS 9 as we move into the important months that lead up to its public unveiling on the new iPhone 6s and 6s Plus. UPDATE: List of all new changes in action: New Features In iOS 9 Beta 2 [Screenshots]. Any way of getting the 1st beta link somewhere?? 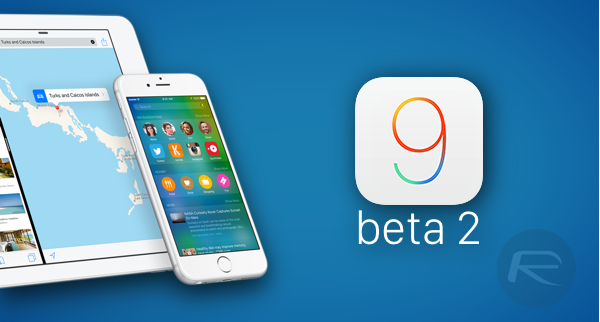 Download iOS 9 Beta 2 from iosbetareg[dot]com !! !